Adult Learner - It's all about YOU! Choosing SUNY Orange will help you to maintain, stay competitive or advance in your career with methods of instruction that work the best for you. We understand your time constraints and know that what works for one, doesn't work for all. We offer flexible scheduling and will do our very best to accommodate your needs. A large selection of courses are available in a variety of formats designed to fit your timetable and learning style. We offer a broad range of services to help you complete your learning goals. SUNY Orange offers career counseling and job placement assistance. Whether you are seeking a degree, need workplace credentials/ updated job skills or just a bit of direction, SUNY Orange has the tools necessary to facilitate your success. Come explore SUNY Orange's available degree programs. We have dedicated faculty that will help you achieve your goals. Many of our degree programs prepare our students for future employment and transfer opportunities. Students interested in one of our Health Professions program should review the application requirements for these selective admission programs located HERE. 3. Students who have prior college course work may be granted a placement test waiver. When you have completed your placement tests and have been accepted, admissions will send you an email with instructions on how you can complete the New START Workshop requirements. You may also get information on your New Start eligibility by visiting the Accepted Student Portal under the Student Academics Tab in your MySUNYOrange account. Course registration will be completed at the on-campus New START Workshop. High School transcript(s) faxed directly from the High School are acceptable. 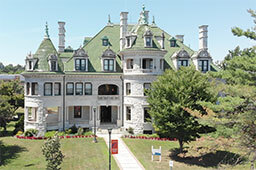 SUNY Orange offers a variety of opportunities for you and your family to visit our institution. Whether or you are student looking to get more information on your degree program or simply want to take a campus tour, we have the right event for you. Plan your visit to SUNY Orange today!